Affordable 21.5 inch Benq and LG monitors with low power consumption, Eye-Care Slim Bezel Monitor in India. 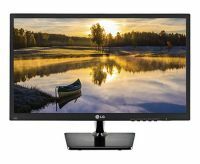 You can see list of our Benq GW2270H vs LG 22M37D below, perform Side-by-Side comparison. If you need further help, do have a look at Conzumr Guides and Tips. Alternatively you can view all Monitor to choose your own favourites. 21.5 " GW2270H : 21.5 "
21.5 " 22M37D : 21.5 "
To Recieve updates and possible rewards for LG 22M37D please sign in. To Recieve updates and possible rewards for Monitor please sign in.